Have you ever walked into a room and felt the tension? You know that thick, palatable, tension you could cut with a knife, even though no one is fighting, arguing, or saying anything at all? Have you ever been around someone who has an infectious smile? You don’t even know what is so funny, but you can’t help laughing too? Whenever we think thoughts, we create neuropeptides, chemicals that are the physical product of our thoughts. These chemicals travel from cell to cell letting each one know what the brain is thinking. Thinking really does change our own physiology, our environment, and perhaps the physiology of others too. If you have been with us long, you know Dr. Olpin’s mantra by now, “Stress begins with our thoughts.” Now many researchers are homing in on how damaging and contagious those stress thoughts can be. Bains has also discovered that stress thoughts are not just dangerous to those that think them, but also to others around them. 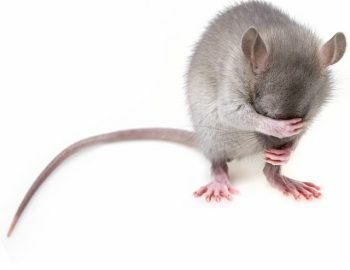 In a study on mice, Bain found that when one mouse was exposed to mild stress and then returned to its partner, both the stressed mouse and the naïve partner’s brains were altered the same way. In other words, the unstressed mouse’s brain changed as if it had been stressed too. Does this happen in humans too? Yes, even without meaning to, our stress is probably being passed on to those around us, family members, co-workers, the clerk at the grocery store. But don’t feel guilty just yet. Instead, let’s be grateful to now understand how contagious stress can be, and use this as motivation to get own stress under control, to make us feel good, and make the world a better place as well! Let’s make getting rid of stress as easy as possible. Others have done it – you can too!